You know what's creepy? When people you know discuss a topic that you're already in the process of writing a blog entry about! After the outbreak of the unidentified virus “Lost Christmas” in 2029, Japan has been under the control of a multi-nation organization called GHQ. See, if that "multi-nation organization" had been Starbucks, that would have been even cooler. Antidote Frappuccino. And they could have served it at Sudohbucks. Ohma Shu is a 17 year old boy who has a psychic power in his right hand. He can use the power “Ability of King” to extract tools or weapons from his friends. He has been avoiding making trouble for others but his life changes when he meets a girl Yuzuriha Inori, a member of a resistance guerrilla group called “Undertaker”, whose members pilot mecha weapons to fight against the government. Wait… Code Geass is getting a third season? And to help them deal with the new infectious agents, they're donning Evangelion plugsuits? Kallen has a new hairstyle! Jokes aside, I'm aware Code Geass is getting a third series for realsies (that is a word, isn't it?) but I'm looking forward to seeing what this series is like. I typically wait until a show is in syndication before watching, but this may be one I follow during broadcast. 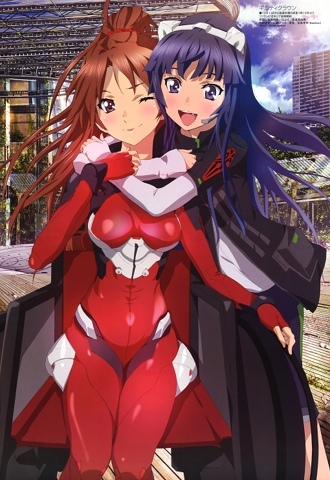 I watched Infinite Stratos, and though I didn't think it was as bad as some others seem to, here's hoping this is better! 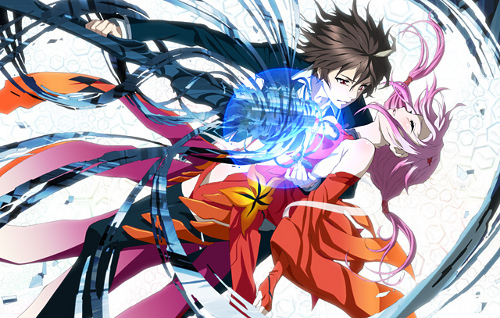 With a catchy name like Guilty Crown, they're already halfway there. Like a boss.